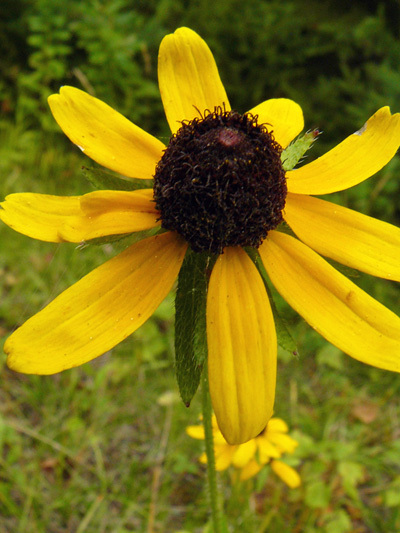 The black-eyed Susan may have rays of pale yellow to orange. Like all of his family, the Asteraceae, this plant has flower heads or pseudanthium, so the "flower" is actually composed of many tiny flowers called florets, some shaped like rays around the edge, and some of tubular shape in the center. Almost absent in some years, it is abundant some others.